When it comes to new hardware launches, you can always count on certain developers or publishers to pledge their support straight out the gate. Ubisoft will trot out Rabbids to make sure there's family-friendly hilarity on the Wii U and EA's always going to have some iteration of Madden or FIFA for the next next-gen PlayStation or Xbox. But Irrational Games isn't one of those companies. They're a smaller studio and they turn out smarter-than-average games, which takes longer than creating sequel after sequel. That's why it surprised many when Irrational's creative director Ken Levine came out during E3 to announce that he and his colleagues would be working on a BioShock game for the PlayStation Vita. Things have been quiet since E3 but Levine recently took the time to give Joystiq an update on what not to expect from the studio's Vita debut. Levine says that the aim is to create an all-new experience that feels native to the Vita and not just a ported, scaled-down version of something that Irrational's already done. 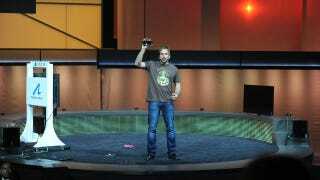 Joystiq quotes Levine as saying, "I'd rather do something that's an experiment and that's a little different. And is unique for the franchise." He also says that, because the studio's got a lot less manpower than other developers who develop for console and handheld, the Vita BioShock game might be the first time Irrational works with an outside entity to execute their vision.